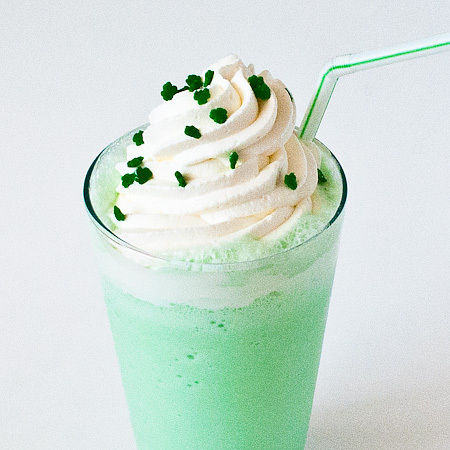 In a blender, combine the ice cream, milk, sugar, peppermint extract, vanilla essence and food colouring. Blend until smooth. Pour into 2 glasses and top with the whipped cream and cherries.Enjoy!